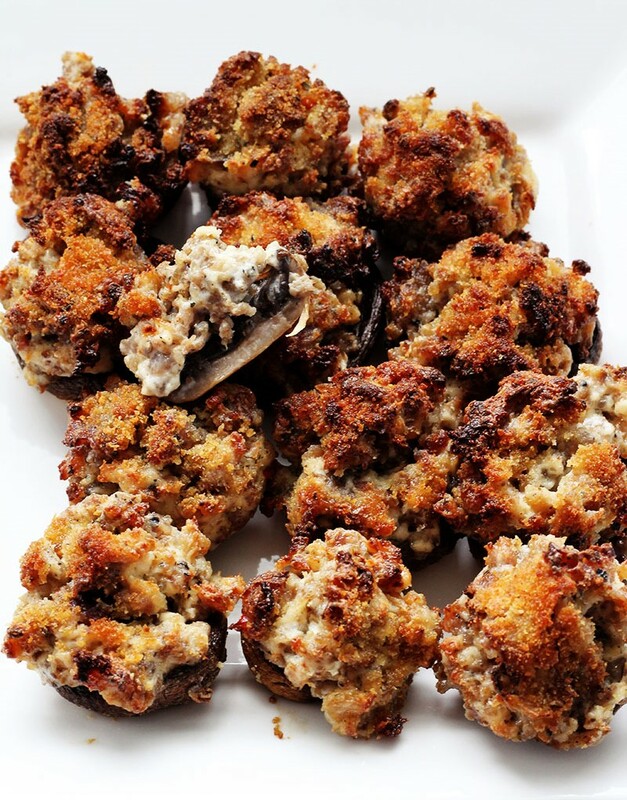 I got this recipe for Stuffed Mushrooms about 25 years ago from a great friend and we have really enjoyed them over the years. I think that you will enjoy them too! 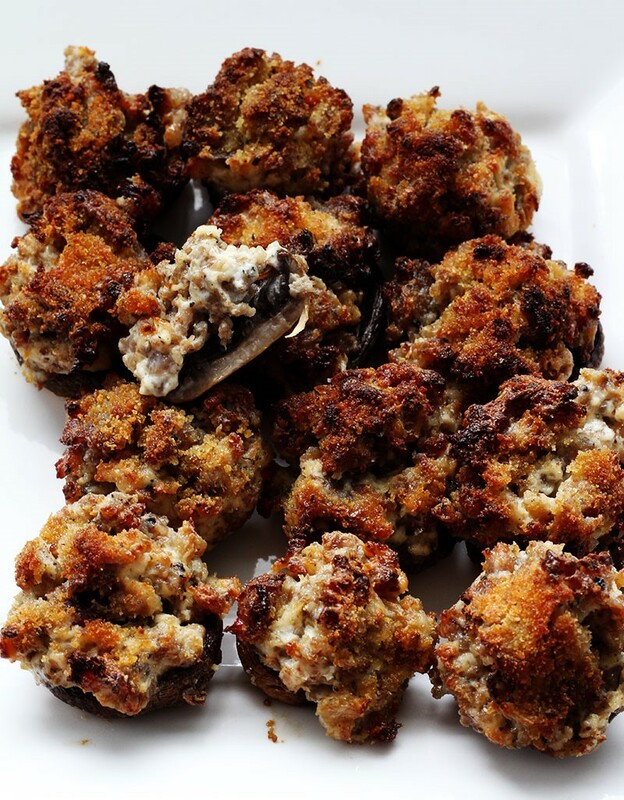 These stuffed mushrooms make a great appetizer for any get together or they are really tasty just when you are craving a good snack. I truly have a hard time stopping at 2 or 3. Maybe you could just make a meal out of them. I must tell the truth; mushrooms aren’t my favorite, but I do like these stuffed mushrooms a lot. The sausage mixed with cream cheese make these mushrooms taste amazing. It is kind of nice that you don’t need to dip them in any sauce since basically they are stuffed with the sauce. Try some today! They must be pretty yummy, even my 17 year old will eat them, and that is saying a lot. That is because most things he eats has sugar in it. So what do you do for New Year’s Eve? We usually have a little get together with family and friends, but we actually go to bed shortly after midnight. Ouch, is that showing my age? Or maybe it isn’t showing my age, because that is what we use to do when our children were young too. We went to bed shortly after midnight, knowing that we needed all the sleep that we could get, in between when the little ones would wake us up! When our older children were in high school we use to chaperone the New Year’s Eve dances. My husband is a really good dancer and we enjoyed dancing, in addition to the fact that it gave us an opportunity to keep an eye on our kids! Back when we were in high school, our church always had a New Year’s Eve Dance, so we would eat and then go to the dance. That is what pretty much everybody in the community did. Sometimes we went out to eat, but sometimes we actually fixed something at one of our homes (we usually doubled with another couple or two) and ate before we went. It was a bit of a distance to go out to a nice restaurant since I lived on a farm and our church and school was in a small town. So this year, for our New Year’s Eve get together, we had these stuffed mushrooms. They were a real hit, and I felt good about serving them because they are pretty healthy, right? And we all want to start off the New Year eating healthy. But best of all, they are delicious too! Happy New Years and I hope next year is wonderful for you. One thing that truly made me happy was that my father-in-law loved these stuffed mushrooms. I think that is always a good things when you can make the in-laws happy. I know that the stuffed mushrooms are so simple and they only have 4 simple ingredients. 1- If you have a gluten problem, use gluten free bread crumbs. 2- I stuff the mushrooms no matter what size they are, smaller mushrooms, less filling, larger mushrooms, more filling! 3- I use a brown bag from the grocery store to drain my sausage, I just make sure that I use the inside of the bag, by cutting the sides of it and placing the sausage on the flat side of the bag. Wash mushrooms and pull out the stems: chop ¾ of them and discard the rest. Fry sausage in a large skillet. Add mushrooms and cook until sausage is cooked through. Drain the sausage and mushroom mixture on a brown bag. Place back in the pan and add softened cream cheese. Let cool a little, as it makes it easier to stuff mushrooms. Broil on low on top shelf for 3 - 5 minutes. Sounds like the perfect appetizer!! These are one of our favorites and even those that do not care for mushrooms as much will even eat them!! Have the best YEAR EVER! Thanks for sharing at To Grandma’s House We Go DIY, Crafts, Recipes and More Wednesday Link party! Pinned! Hope to see you next time! These stuffed mushrooms look delicious! I haven’t had these in years. Thanks for sharing the recipe at Snickerdoodle. Pinning. They really are delicious. Thank you for coming by and leaving a comment.